We had game night at my sisters last night. 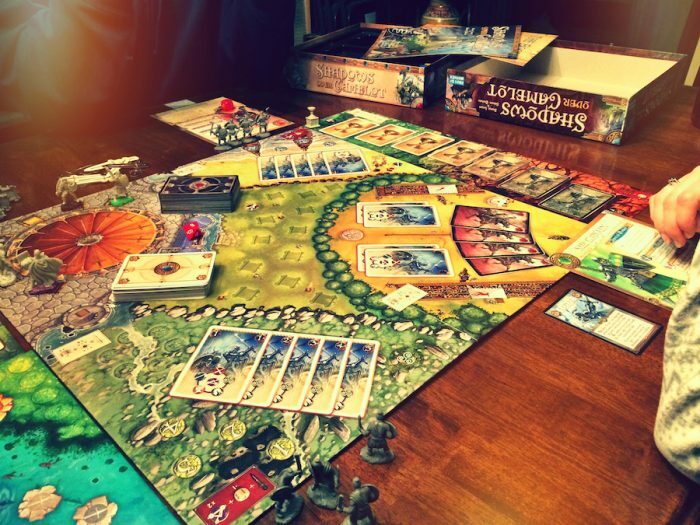 Played another round of Shadows Over Camelot. It went smoothly this time. At the start, we finished off the Saxon and Pict wars. I found Lancelot’s Armor, Excalibur was lost to the Forces of Evil. Then we found the Holy Grail. Things were very much in our favor. We had the majority of white swords around the round table. Only ¾ths of the seige engines were surrounding Camelot. All we had to do was survice a few more rounds without dying or allowing the seige engines to completely surround Camelot. We finished by ending a second war with the Saxons. The Knights of Camelot were victorious. 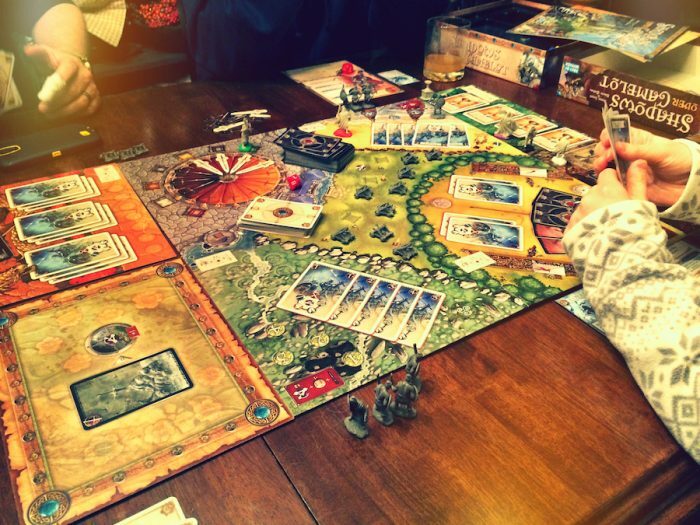 Out of all the times we played Shadows Over Camelot, we’ve only won twice. Both times we’ve won, we’ve gone through the entire white deck and had to reshuffle all the cards. I’m not sure why that is, but it seems to be the key to winning.